Grifols Installs a High-Density AS/RS to Support the Storage of Frozen Blood Plasma - Westfalia Technologies, Inc.
Grifols takes pride in innovation. Understanding innovation comes in many forms, Grifols is committed to continuous improvement of its sophisticated, modern facilities. At Grifols, innovation means finding new ways of solving old problems, which is where automated warehousing is now playing a role in improving global blood plasma logistics. 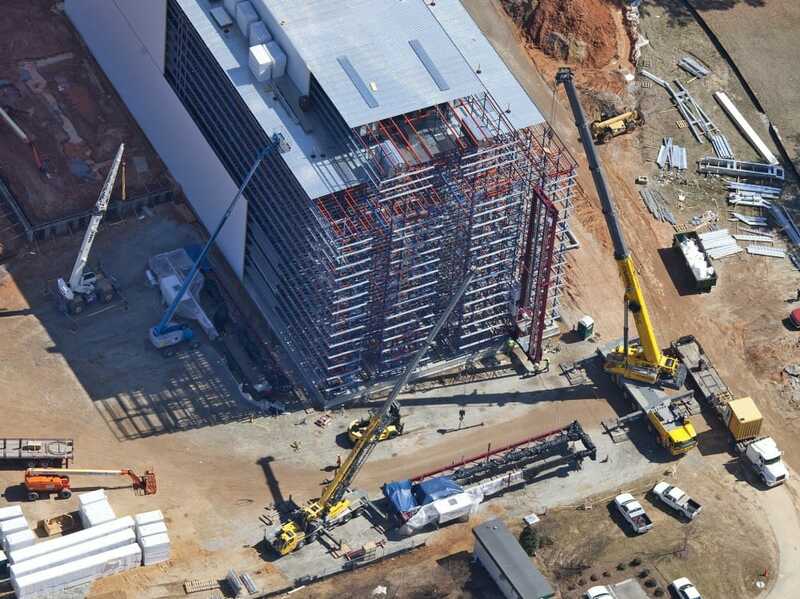 Faced with the need to expand the storage capacity for frozen blood plasma to match the recently increased capacities of the manufacturing facilities, Grifols embarked on a journey to build a highly automated plasma logistics center in Clayton, North Carolina, in close proximity of its large scale east coast manufacturing operation. Grifols’ new plasma logistics center in Clayton, N.C. will handle the cold storage (-35C) of plasma blood products, the suitability inspection of plasma units according to tight quality standards and the shipment of frozen plasma via truck and/or ocean container to the Grifols’ manufacturing plants. In order to protect the valuable product, this new rack-supported building is equipped with a multi-level redundancy refrigeration system including nitrogen back up. Westfalia’s automated storage and retrieval system (AS/RS), combined with Savanna.NET® Warehouse Execution System (WES), supports Grifols’ continued innovation in its modern, state-of-the-art facilities. The AS/RS occupies 17,273 square feet with 5,148 pallet positions. Standing nine storage levels high, the three-aisle AS/RS is equipped with three storage/retrieval machines (S/RMs), one tandem-pallet and two single S/RMs. The design of the system is based on Westfalia’s Satellite® technology, which provides the ability to store pallets in multiple-deep storage lanes. The Westfalia high-density Satellite® S/RM is representative of the new, high speed, fourth generation of S/RM design. Due to its sophisticated structural design, it is one of the heaviest-duty-cycle S/RMs available today. Managing the flow of materials is Westfalia’s Savanna.NET® WES. Savanna.NET® provides complete control over material flow, order management, reporting, and logging, and is compatible with Grifols’ Host Interface. AS/RS occupies 17,273 sq. ft.